Get ready for summer and the beach with unique hand shovel. Use this item to help dig those deep holes in the sand, faster and cleaner! Item is one location imprint only. 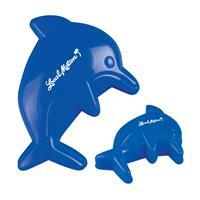 Get creative at the beach with this dolphin sand mold! This item will make for a fun and popular giveaway for beach resorts, pools, or aquariums. Item is one location imprint only! Need a hand this summer? This unique and interesting sand mold will help you get creative this summer. 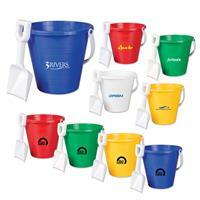 Perfect for pools, beach resorts, aquariums, or sandboxes! Item is one location imprint only. 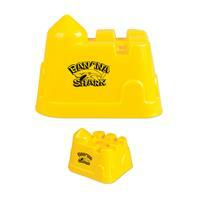 Have some playtime at the beach with this sand castle mold! Small, but detailed, this mold helps complete any beach set. A perfect giveaway for beach resorts, water parks, pools, or daycares with sandboxes. Item is one location imprint. 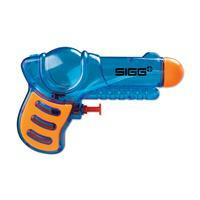 Cool off with this fun water shooter. A fun way for kids to have fun and cool down from the summer heat! 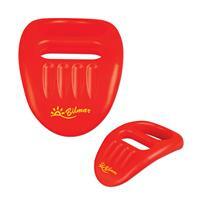 An ideal gift or giveaway for pools, beach resorts, company barbecues or picnics, or summer camps. Please specify imprint location on order. Have some fun in the sun! But don't forget your sunscreen. With this portable and easy-to-use sunscreen bottle, you can enjoy a day at the beach or pool without worrying about sunburn. One color/location imprint only. Summer and beach balls go hand-in-hand! Measuring 6" tip to tip when inflated, these fun party accessories are bound to be a big hit at your next company picnic or celebration. Ideal for colleges, travel agencies, hotels and more. 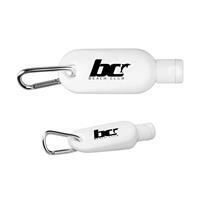 Give them away during tradeshows, conferences or conventions. A perfect companion to any cruise ship activity! Available in blue (JL5454X), green (JL5452X), multicolor (JL91019X), and red (JL5455X). 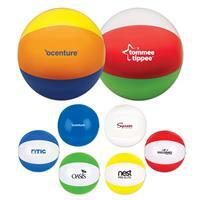 Pricing above includes a one color, one location imprint on the white panel of the beach ball. If specifying the imprint on specific color panel add an additional run charge of $0.07(v) per piece. 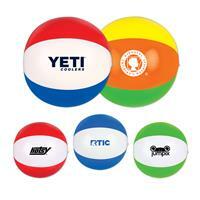 Summer and beach balls go hand-in-hand! Measuring 16" tip to tip inflated, these entertaining party accessories are bound to be a big hit at your next company event. Add your custom imprint and let your clients have all the fun. Ideal for colleges, travel agencies, hotels and more. Give them away during tradeshows, conferences or conventions. A perfect companion to any school rally! Available in blue (JL5450X), solid blue (JL9112X), green (JL5448X), multicolor (JL2311X), red (JL5451X), white (JL9113X), and yellow (JL5449X). Have fun and learn at the same time! Measuring 14" tip to tip when inflated, these delightful toys are bound to be a big hit at your next company picnic or campus rally. Earth design with a blue background provides a striking base to add your custom imprint. Ideal for colleges, travel agencies, hotels and more. Give them away during tradeshows, conferences or conventions. A perfect companion to any cruise ship activity! One side imprint only.